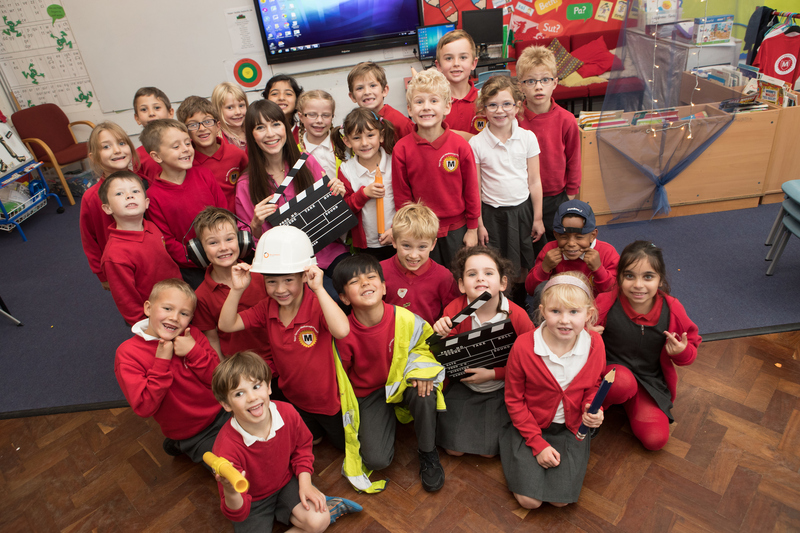 Year two pupils from Cardiff’s Marlborough Primary School have played a starring role in the launch of a national competition as children’s TV presenter Rebecca Keatley descended on their classroom. Rebecca, who is famous for her role in CBeebies Let’s Play, teamed up with gas emergency and pipeline service, Wales & West Utilities, to launch Get Creative, Be Safe – a competition to raise awareness of the dangers of carbon monoxide (CO). As part of the launch activities she visited the school, along with Wales & West Utilities colleagues, to help give the 60 children insight into the dangers of CO poisoning and the tell-tale signs to look out for at home. Get Creative, Be Safe is an annual competition which Wales & West Utilities runs across its region. Along with Rebecca, they are now urging youngsters in Key Stages 1 and 2 (ages 5 to 11), to put their artistic skills to good use and produce an eye-catching poster, poem, film or song, which is both informative and accurate, and warns of the dangers of CO poisoning and how to avoid them. Pupils from Marlborough Primary were the first to enter this year’s competition after wasting no time in putting pen to paper and coming up with their designs to raise awareness of the dangers of CO – known as the ‘silent killer’ because you can’t see it, smell it or taste it. “Children of this age have an abundance of creativity and we’re urging them to use their talents to have some fun in designing something that warns of the dangers carbon monoxide poses and help spread the vitally important safety message to their loved ones. Wales & West Utilities will judge entries and pick four area winners – two from Key Stage 1 and 2 in both Wales and south west England – who will personally receive £150 and £300 for their school / organisation (which can include uniformed organisations such as Cubs or Brownies). The regional winners will go forward to a national final in June 2018 where they have a chance to win a further £300 for themselves and £600 for their school / organisation. Entries should be sent to COSafetyCompetition@energynetworks.org and must be received by Friday 4 May 2018 and judging will take place by the end of May 2018. Last year’s regional winners produced posters warning of the dangers of carbon monoxide, with one entry, which was declared as the national winner, producing an eye-catching film, all of which can be found here: www.wwutilities.co.uk/GetCreativeBeSafe. Known as the ‘silent killer’, accidental – and therefore preventable – CO poisoning is responsible for around 40 deaths, 200 hospitalisations each year. In the UK, there are more than 4,000 visits to Accident and & Emergency for treatment of CO poisoning – which can often lead to lasting neurological damage. “We had a fantastic response to the competition last year and want to receive even more entries this year. Entries can be emailed to: CCOSafetyCompetition@energynetworks.org.